Conference attendees came from across the country and across the globe. 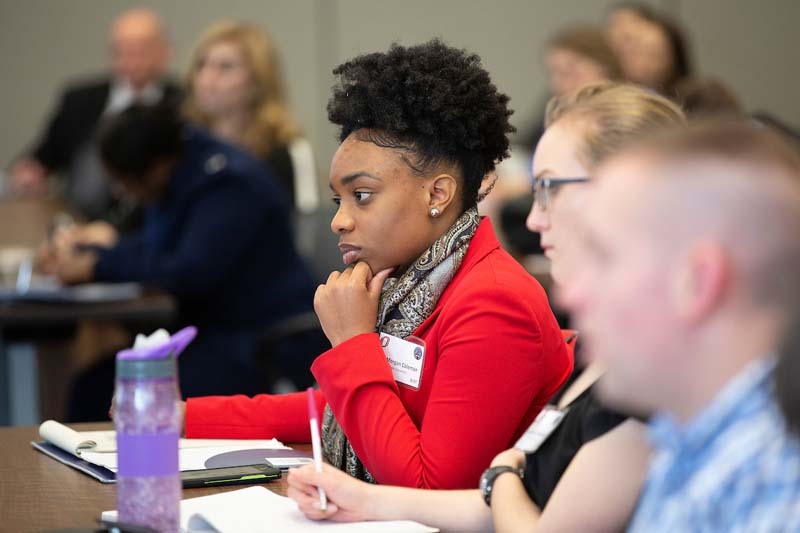 Morgan Coleman, of Drake University, listens intently at one of the panel discussions held during the two-day Assurance and Deterrence Academic Alliance Conference. 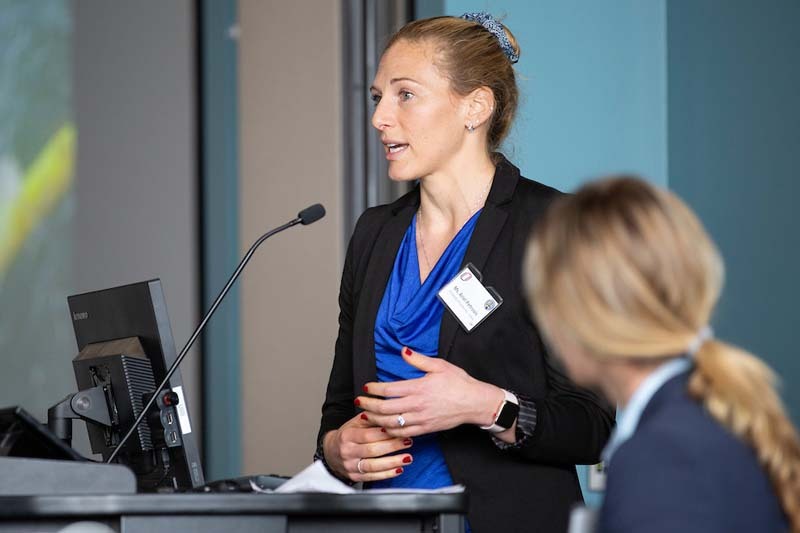 Ariel Petrovics, of UC Davis, speaks during a conference session at the 2019 Assurance and Deterrence Academic Alliance Conference. UNO assistant professor and conference co-chair Michelle Black says this year's event was notable for how diverse the attendees and presenters were, particularly the number of women in a typically male-dominated field. Last Thursday and Friday, March 7 and 8, more than 200 participants from 32 unique American and international universities took part in the Fourth Annual Deterrence and Assurance Academic Alliance Conference on the UNO campus to experience and learn from experts in the fields of national security and national defense. The conference was part of an going research and creative activity effort highlighting UNO's active engagement with the community as well as desire to foster discovery. This is the second year that the conference, co-chaired by Michelle Black and Lana Obradovic, assistant professors in UNO's Department of Political Science, has been held on campus. The event was also supported by the College of Arts and Sciences and Dean David Boocker as well as UNO's Office of Research and Creativity and Associate Vice Chancellor Ken Bayles. UNO was the site for the conference's inaugural event, which featured opening remarks from former U.S. Secretary of Defense and UNO alumnus Chuck Hagel. Over two days, the conference hosts keynote lectures, tabletop exercises, scholarly presentations and workshops. This year, more than half of conference attendees were students, 16 of which were UNO Intelligence Community Scholars. 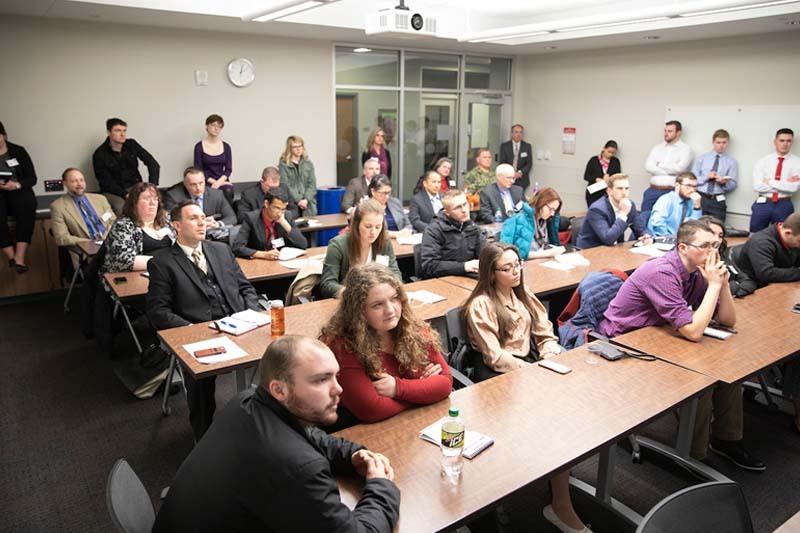 Throughout the conference, these students had the chance to connect directly with national security experts, including leaders from USSTRATCOM, the U.S. Department of State and even the United Kingdom's Ministry of Defense. "Being able to have them there networking with other professionals in the DOD or Department of State, allowing them to ask questions on what it's really like to work in government and what's important about this topic, and why should they even be concerned about that, I think it's probably one of the best outcomes of the conference," Black explained. Among the topics covered in this year's conference were Russian electronic warfare in space, China's presence in the Arctic and how to deter violent extremist organizations, as well as case studies and examples of how government agencies build alliances, monitor international actors and communicate important information to the public. "I appreciated the willingness of high-level decision makers to engage with us, as it showed their commitment to raise up the next generation of scholars analyzing issues of deterrence and assurance," explained Sooyeon Kang, a doctoral student from the University of Denver who traveled to UNO for the conference. "I found it really valuable to discuss with security professionals and practitioners the demand for policy-relevant research, and I hope to incorporate some of these ideas in future projects." 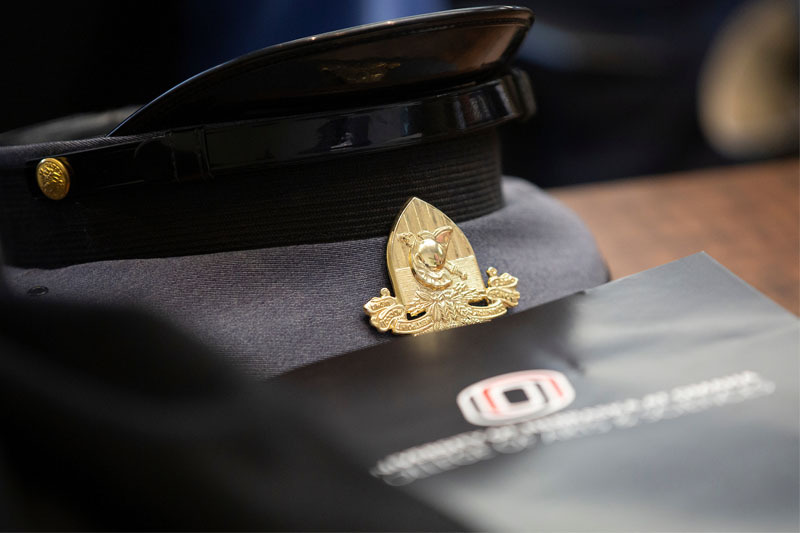 As a member of Louisiana Tech University's Louisiana Tech Research Institute, Brooke Mitchell, who serves as education director of the Center for Assurance, Deterrence, Escalation and Nonproliferation Science and Education (CADENSE), also said the opportunity provided by UNO was truly rewarding. "The opportunity to share research, network, and support this mission is a valuable opportunity for both educators and students. The interactive table-top exercise at Offutt AFB was well-executed. The UNO campus was very friendly and both the facilities and hotel accommodations were top-notch." Ultimately, Black says one of the key takeaways she'll have from this year's conference is the diversity among the backgrounds of conference organizers, industry experts, academic leaders and engaged students. This was exemplified by the opening day's keynote address from Rebecca Hersman, director of the Project on Nuclear Issues and a senior advisory of the International Security Program at the Center for Strategic and International Security. "We were able to show the diversity in the field. Whereas before you might not have been able to see that diversity when it comes to male-female roles or different backgrounds when it comes to this area and she did a great job in her speech about highlighting where this field needs to go and where diversity needs to happen."